Welcome home to 611 Nanaimo Cres in award winning Maple Leaf Golf & Country Club. Jaw-dropping panoramic water and golf course views from this 2006 Jacobsen built double-wide manufactured home. Watch the golfers and the sunset from the 192sq ft enclosed lanai living room or dining room. Interior floor plan includes 2 Bedrooms a spacious den with french doors open concept kitchen living room dining room foyer and interior laundry room. Laminate flooring and ceramic tile for easy care. This beautiful home is being sold furnished with golf cart. New AMS roof-over Nov 2016. Hot water heater replaced 2014. Home price includes $40000 membership certificate/share. Active adult lifestyle. 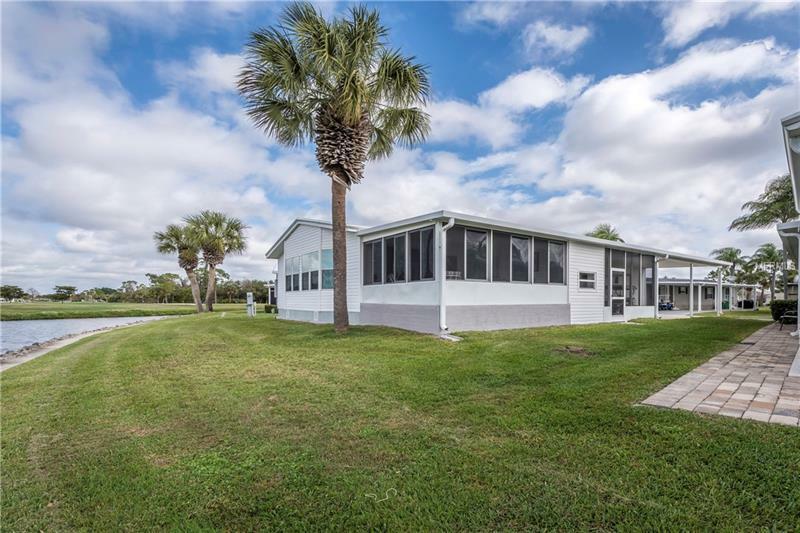 Features a Par 62 golf course5 tennis courts bocce ball lawn bowling 2 shuffleboard court centers 4 heated swimming pools 2 hot tubs fitness facility woodworking facility 75+ clubs/activities 2 pickleball courts restaurant with full service bar and more. One indoor cat is allowed no dog. Shown by appointment only 24 hour gated community. In Maple Leaf it's true what they say "It's all about the lifestyle".